Oak Street Films is one of the top creative Chicago wedding videographer studio servicing greater Chicago area. Our over sixteen years of experience in South Asian and American wedding cinematography (Hindu, Sikh, Muslim, Jewish, Greek, Italian, Polish, Latino), as well as video coverage of all pre-wedding events allowed us to develop intermixture form of filming. Throughout the years styles in wedding video were changing, new ideas were replacing old ones for a while. Today, most of those videos look obsolete (in terms of editing style of course). That’s why I believe documentary style is timeless and will look classy even years from now. Our unique style could be called a F U S I O N – bridging documentary and cinematic forms. All wedding events, ceremonies, customs etc. are filmed in documentary style with some artistic twist. Our signature video cinematic highlights (samples of which you can see on our website) are artistic compilation of most important moments of the wedding day events which are edited in time-shifting style and color graded to achieve film look effect. The cinematic highlights are short form artistic video (no longer than five minutes) and are edited to the music selected by our clients. 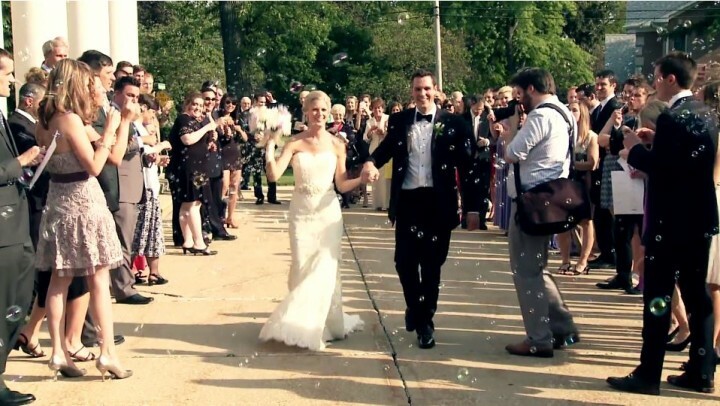 Oak Street Films cameramen and editors are one of the best wedding videographers in Chicago. Over the years hundreds of our satisfied customers spoke very highly about outcome, hard to replicate by other reputable studios. Today, almost all of our customers come to us from referrals. Some of our cinematic wedding videos have been featured in Bridal magazines. See some samples of our cinematic wedding videos in “work” area. Our signature cinematic highlights (samples of which you can see on our main website – oakstreetfilms.net in “work” menu tab) are artistic compilation of most important moments. Cinematic highlights are edited in time-shifting style and color graded in post production to achieve film look effect. We believe that cinematic highlight should be no longer than five minutes to keep the viewer captivated. All is edited to the music selected by our clients. It is very popular video form among our clients since it allows them to share their wedding day with family, friends, co-workers in very convenient way. Cinematic highlights are posted to our web servers in high definition and could be viewed on all mobile devices, tablets, computers all over the world. Your cinematic highlights could be password protected for added privacy. 04:09 Union league club wedding video filmed by oak street films. see our samples of mehndi, sangeet, raas garba, grahshanti, pithi, baraat, mandap, nikkah, walima, cinematic wedding video. 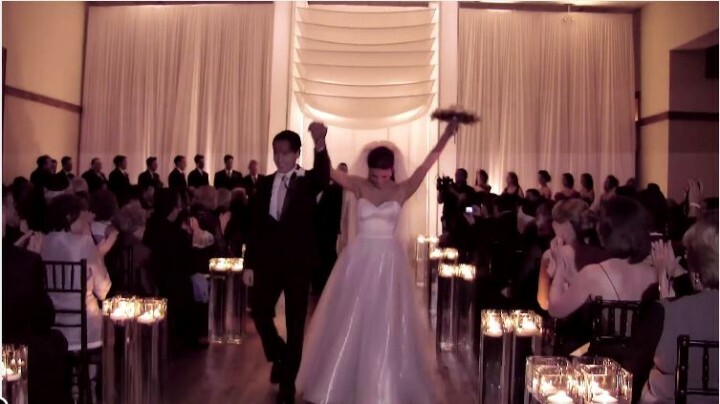 we are one of th ..
04:16 Jewish wedding video filmed by oak street films in ivy room chicago. oak street films is one of the the top wedding video company in chicago. specializing in cinematic wedding video. 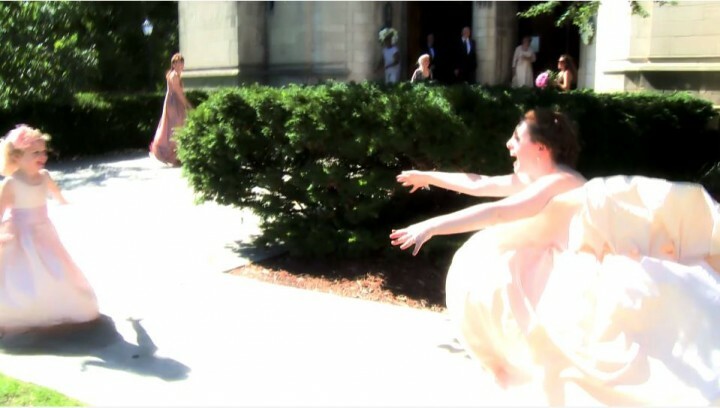 05:09 Splendid wedding video filmed by oak street films chicago downtown, rockefeller chapel, chicago's art institute. photo session was filmed in chicago's millennium park and ceremony in rockefeller chape ..
03:54 Destination wedding video filmed by oak street films michigan. see our samples of mehndi, sangeet, raas garba, grahshanti, pithi, baraat, mandap, nikkah, walima, cinematic wedding video. we are one of ..
04:35 Chicago greek wedding video, cinematic wedding video, greek wedding video, wedding video, wedding film, cinematic, cinematic video, chicago best wedding video, chicago's best wedding video, best wedd ..
03:19 Chicago's wedding video filmed by oak street films. see our samples of mehndi, sangeet, raas garba, grahshanti, pithi, baraat, mandap, nikkah, walima, cinematic wedding video. we are one of the top we ..
03:41 This wedding was filmed in winnetka covenant church. photo session and reception was held in indian hill country club in winnetka. 03:41 Christian orthodox wedding video filmed by oak street films in chicago. see our samples of mehndi, sangeet, raas garba, grahshanti, pithi, baraat, mandap, nikkah, walima, cinematic wedding video. 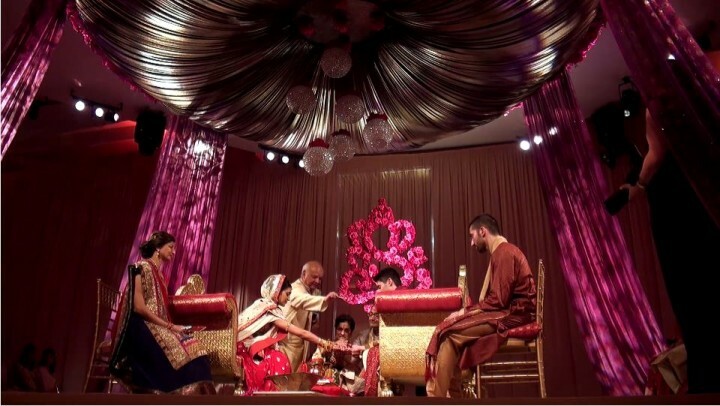 we a ..
05:03 What a splendid south asian wedding held at chicago's famous the drake hotel on magnificent mile. royal decor, colors of the season, beautiful south asian ceremony and reception held in gold coast roo .. If you decide to book our services we require to sign our video contract and mail it back to us along with your down payment check. We require 25% down payment at the time of booking and remaining balance is due no later than on wedding day. We will sign it as well and provide you the signed copy for your records. 04:17 Muslim wedding video filmed by oak street films in downtown chicago. we specialize in south asian cinematic weddings, indian weddings, hindu weddings, muslim wedding pakistani wedding videography. fil ..
05:32 Beautiful muslim wedding video filmed in intercontinental hotel in chicago suburbs. INTERCONTINENTAL O'HARE SOUTH ASIAN INDIAN HINDU PAKISTANI WEDDING VID ..
05:32 South asian wedding video filmed by oak street films chicago's best indian wedding videographer. see our samples of mehndi, sangeet, raas garba, grahshanti, pithi, baraat, mandap, nikkah, walima, cine ..
04:47 Pakistani wedding video filmed at chicago botanic garden. south asian wedding video filmed by oak street films chicago's best indian wedding videographer. see our samples of mehndi, sangeet, raas garb ..
05:21 Indian cinematic wedding indian muslim wedding, muslim wedding, chicago wedding, chicago indian wedding video, cinematic wedding video, indian wedding video, wedding video, south asian wedding, ..
04:25 Pakistani wedding video filmed by oak street films chicago's best indian wedding videographer. see our samples of mehndi, sangeet, raas garba, grahshanti, pithi, baraat, mandap, nikkah, walima, cinema ..
05:49 South asian wedding video filmed by oak street films chicago's best indian wedding videographer. see our samples of mehndi, sangeet, raas garba, grahshanti, pithi, baraat, mandap, nikkah, walima, cine ..
04:53 Ali and hina walima highlights at belvedere events & banquets in elk grove village. filmed by oak street films. photo at the end of video credit to rohini raveendran. 05:20 Muslim wedding video filmed in chicago. 05:40 Beautiful muslim wedding video filmed at ashyana banquests in chicago suburbs. filmed by oak street films elite south asian wedding videography company. if you are looking for best videographer to fil ..
07:19 Indian wedding palmer house hilton chicago beautiful indian wedding video filmed in palmer house hilton in chicago downtown. photo session on in chicago downtown on lasalle ave and baraat on monroe st ..
05:34 Indian wedding video filmed by the best indian wedding videographer oak street films chicago . we are one of the top wedding videographer in chicago specializing in south asian, indian, hindu, pakista ..
04:28 Beautiful wedding video filmed in chicago suburbs in waterford banquests. after vidhai newlyweds departed in very spectacular way in helicopter. 04:12 Indian wedding video filmed bu oak street films in chicago. best of indian wedding videos selection. 04:53 Beautiful wedding video filmed in chicago suburbs eaglewood resorts. 05:06 Stevenson conference center rosemont. hindu wedding video filmed by oak street films chicago's best indian wedding videographer. see our samples of mehndi, sangeet, raas garba, grahshanti, pithi, bara ..
04:04 South asian wedding video filmed by oak street films chicago's best indian wedding videographer. see our samples of mehndi, sangeet, raas garba, grahshanti, pithi, baraat, mandap, nikkah, walima, cine ..
07:01 South asian wedding video filmed by oak street films chicago's best indian wedding videographer. see our samples of mehndi, sangeet, raas garba, grahshanti, pithi, baraat, mandap, nikkah, walima, cine ..
05:12 Intercontinental o'hare south asian wedding video filmed by best indian wedding videographer oak street films. see our samples of mehndi, sangeet, raas garba, grah shanti, pithi, baraat, mandap, nikka ..
06:20 South asian wedding video filmed by oak street films chicago's best indian wedding videographer. see our samples of mehndi, sangeet, raas garba, grahshanti, pithi, baraat, mandap, nikkah, walima, cine ..
03:54 Beautiful indian wedding video filmed in westin itasca in chicago suburbs. 07:38 This is simply one of the most beautiful indian weddings we've had the opportunity to film. uma and chirag came across our video other indian wedding video ( http://youtu.be/cbhfpftspyu ) and liked ou ..
03:16 South asian wedding video filmed by oak street films chicago's best indian wedding videographer. see our samples of mehndi, sangeet, raas garba, grahshanti, pithi, baraat, mandap, nikkah, walima, cine ..
04:22 South asian wedding video filmed by oak street films chicago's best indian wedding videographer. see our samples of mehndi, sangeet, raas garba, grahshanti, pithi, baraat, mandap, nikkah, walima, cine ..
04:47 Westin itasca hotel. south asian wedding video filmed by oak street films chicago's best indian wedding videographer. see our samples of mehndi, sangeet, raas garba, grahshanti, pithi, baraat, mandap, ..
03:52 South asian wedding video filmed by oak street films chicago's best indian wedding videographer. see our samples of mehndi, sangeet, raas garba, grahshanti, pithi, baraat, mandap, nikkah, walima, cine ..
05:16 Indian sikh wedding video filmed by oak street films chicago's best indian wedding videographer in westin itasca. see our samples of mehndi, sangeet, raas garba, grahshanti, pithi, baraat, mandap, nik ..
03:31 Westin itasca hotel wedding video filmed by oak street films chicago's best indian wedding videographer. see our samples of mehndi, sangeet, raas garba, grahshanti, pithi, baraat, mandap, nikkah, wali ..
04:38 South asian wedding video filmed by oak street films chicago's best indian wedding videographer. see our samples of mehndi, sangeet, raas garba, grahshanti, pithi, baraat, mandap, nikkah, walima, cine ..
RENAISSANCE SCHAUMBURG SOUTH ASIAN INDIAN HINDU PAKISTANI WEDDING VIDE ..
05:15 South asian wedding video filmed by oak street films chicago's best indian wedding videographer in renaissance schaumburg. see our samples of mehndi, sangeet, raas garba, grahshanti, pithi, baraat, ma ..